Given the way Hank and Janet have described the Quantum Realm, it seems a little bit odd that Janet aged normally in the three decades she was down there. But what if she wasn’t actually in the Quantum Realm for that long? What if, instead, past Janet met present Scott and went on a time travel adventure with him back to the normal world and that’s why she aged (and also, maybe, how she managed to survive in a place where food and water could seemingly not exist)? 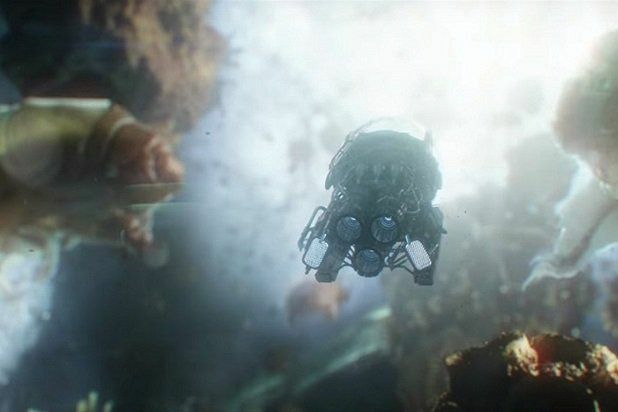 If the events of “Ant-Man and the Wasp” never occurred, then Scott would not have been marooned in the Quantum Realm — so in essence, Janet would have to return to the Quantum Realm in order to make sure that the chain of events could be set in motion. We also know that, obviously, Captain Marvel has not been an active part of the MCU for the past 10 years. Something had to take her out of the proceedings; if she was around, it would make sense for Nick Fury to have contacted her during “The Avengers” to help fight off the alien invasion of New York, for instance. Carol must have something important to be doing. Maybe that thing is her leaving Earth to find a way to beat Thanos or reverse the power of the Infinity Stones — thanks to information she got from Scott after he traveled through time to the past from 2018.